Assist in planning, budgeting, developing, evaluating and monitoring the business side of the project. Work closely with the Capacity Building Manager and Project Manager in identifying ideas, opportunities related to the business part of the project. Locate and propose potential business deals by contacting potential partners, discovering and exploring opportunities. Screen, evaluate and review business deals and contracts by analyzing needs and market/project requirements. Recommend investment and business opportunities/ventures to direct supervisor. Examine risks and potentials for the business needs and goals of the project. Negotiate and closes business deals by coordinating project requirements with business operations. Network and build relations with private sector, local and international NGOs, local community stakeholders and potential donors for the sustainability of the project. Oversee and track implementation and development of the business plan. Design and implement activities as required for the business plan. Ensure and protect project business opportunities by keeping all information confidential. Responsible for preparing marketing strategies and plans for the project. Implement all needed activates related to this. At least three years-experience in business development and management for projects. At least two-year experience in tourism sector. Ability to work in south of Jordan, and be familiar with the environmental and cultural backgrounds in those areas. Driving license and the ability to travel within Jordan to different areas, which might include staying overnight there. BA in business administration or a related field. Flexible and willing to work evenings. The position requires traveling extensively within the country as well as staying overnight in the field. Good knowledge of locations and local communities. 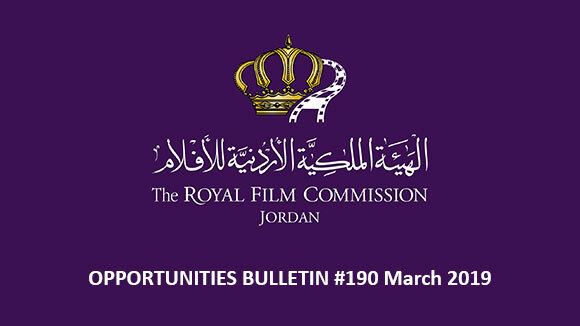 Please send your application to the following email: recruitment@film.jo no later than 30 April 2016, and indicate clearly in the subject of your email the title of the position you are applying for. 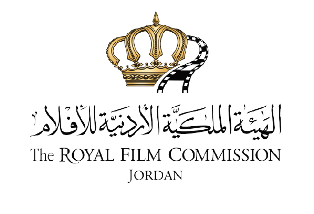 The Royal Film Commission - Jordan has a vacancy, as a short-term replacement for the Media & Communication Coordinator, starting from mid-June 2016 for three months. The contract’s period can be renewed. Write press releases and screening callouts. Edit, proofread and translate texts as required. Oversee the planning and preparation of public screening events. Assist in the selection and programming of films. Present films and moderate discussions. Manage media contacts and maintain good relations with them. Perform any other task that may be assigned by the manager. BA in Media, Literature, Arts or related field. Minimum 2 year-experience in a Communication/ PR / Marketing position. Excellent knowledge of English & Arabic and excellent writing skills. Good film culture and interest in the film industry. Good analytical mind and attentive to details. Proficiency in computer software and good knowledge of social networks. Flexible, creative and team player. Willing to stay for evening screenings. Please send your application to the following email: recruitment@film.jo no later than 10 May 2016, and indicate clearly in the subject of your email the title of the position you are applying for. 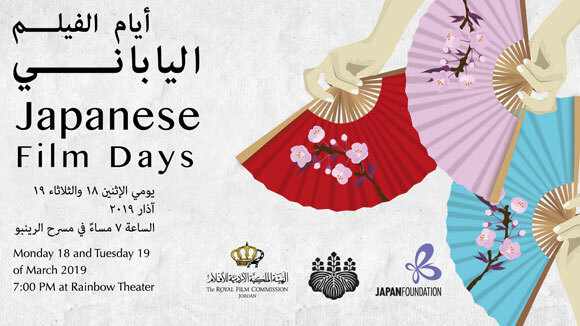 The Institut Français in Jordan, in partnership with the Royal Film Commission - Jordan (RFC), is organizing the 22nd edition of the Franco-Arab Film Festival, which will be held in Amman from the 28th of May until the 2nd of June 2016. The Franco-Arab Film Festival is calling for Jordanian short films (documentary and narrative) to compete. Winners will be announced during the closing reception. 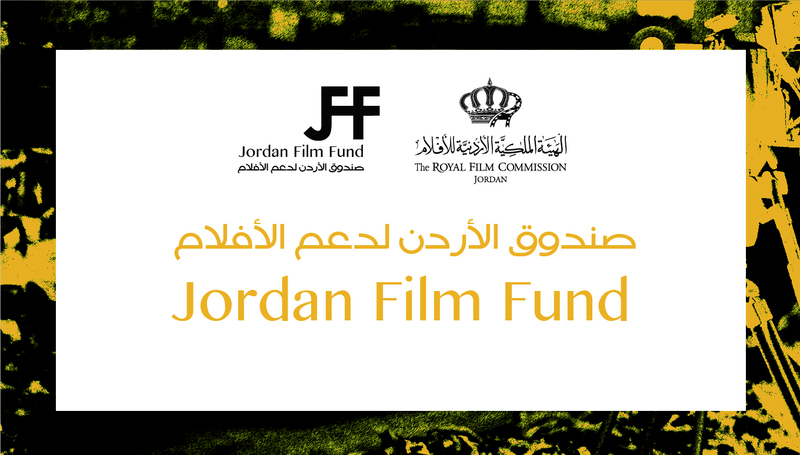 - The competition is open to independent filmmakers residing in Jordan or abroad. Either the director or the producer should be Jordanian. - The film should not exceed 20 minutes. - The film has to have been produced in 2015 or 2016. - Each filmmaker can submit one film only. - Only narratives and documentaries can be submitted. Animated films or experimental films will not be accepted. - It is requested that the film be subtitled in English or French, if it is in Arabic; or subtitled in Arabic, if it is in English or French. 1. 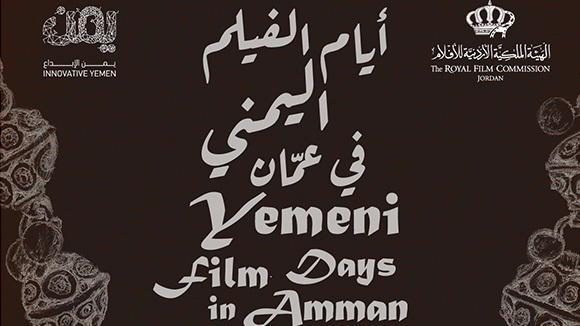 An application form in Arabic or in English, which can be found on the RFC website www.film.jo, covering technical details regarding the film, synopsis and the filmmaker’s information. 2. A poster or a screen shot of the film. The 4 winning films will receive a trophy created by Jordanian sculptor Hazem Al Zu’bi. Last date for submissions is Sunday 1st of May 2016. BBC Arabic TV’s Cinema Badila (Alternative Cinema) programme is entering its fifth series and is calling for film submissions. 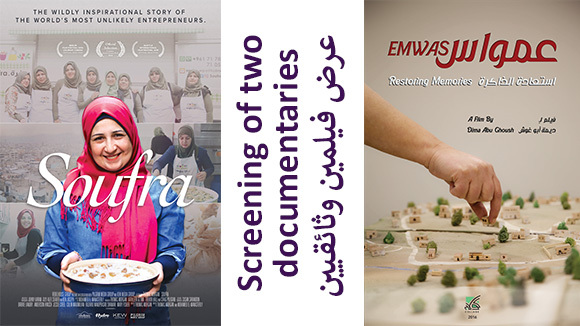 The programme is primarily interested in Arabic speaking fiction, although it will also consider documentaries with original subject matters and/or stylistic approach, as well as diasporic films with non-Arabic dialogue. There is also an interest in receiving feature length fiction and documentary films for review on the programme. Cinema Badila is a great platform for filmmakers, allowing them to reach BBC’s wide audience (estimated at about 36 million weekly viewers for the channel). Although its focus remains on films from the Arab region and its Diaspora, the programme fully appreciates that films should not be restricted to geographical classifications, and that the quality of filmmaking from the Region is on par with world cinema. The programme has therefore forged high profile collaborations with a view to creating an international programme that presents a selection of Cinema Badila’s chosen films side by side with a selection of international short films. The first such collaborations were with the Berlin Film Festival and with the Cannes Film Festival, and further potential collaborations are planned. Med Culture , an EU-funded Regional Programme, is launching an open call for participation in two Peer to Peer (P2P) workshops addressing the theme “Reinventing Partnerships”. Capacity development is a Med Culture core activity that provides cultural practitioners working in different cultural fields, both from the civil society and public sectors, with the opportunity to discuss common challenges and share experiences with their peers in the involved South Mediterranean countries. The current P2P format is based on selecting candidates through an open call, which allows broader segments of cultural practitioners to participate. The workshops provide participants with the possibility to get input from the facilitating experts and have fruitful exchanges with their peers. The call is targeting 20 cultural practitioners from South Mediterranean countries, aged between 25 and 45 years at the time of application. What is expected from the selected candidates? The present call is an open invitation to cultural practitioners to share their experiences, enrich their capacities while exchanging and reflecting on the theme of collaborative work and partnership building. Selection process: candidates are selected based on their CV and a motivation letter explaining their interest in joining these workshops. The jury is composed of a number of experts including one member of Med Culture team. have a strong command of Arabic. Knowledge of French OR English is a requirement. work in the cultural field within civil society/cultural organisations, the public sector, or as freelancers. be residents in one of the involved countries: Jordan, Algeria, Egypt, Israel, Lebanon, Morocco, Palestine and Tunisia. Candidates with Syrian or Libyan nationality who come from the civil society sector and who reside in their country or elsewhere are also eligible. The deadline for submitting applications is on April 27th, 2016. The 38th Cairo International Film Festival (CIFF) will be held in Cairo from November 15 – 24, 2016 at the Opera House. CIFF aims to contribute towards the development of the art and science of film (Fiction– Documentary) and encourage intercultural dialogue. -	Official Selection for feature and documentary films: International Competition – Out of Competition. - Forum of Independent Cinema. - Guest of Honor from world cinema. The deadline for submissions is on September 15th, 2016. The Goethe-Institut and Metropolis Association are launching Talents Beirut’s third edition with the call for entries for Arab film talents. Between March 14, 2016 and May 24, 2016, cinematographers, editors, sound designers and music composers from the Arab World are invited to apply to the "Talents Beirut"; a program that aims to reinforce Arab artists in their technical and artistic skills. 20 promising film talents from the Arab World will be selected by an international jury to attend the third edition of "Talents Beirut" which takes place in Beirut. Organized by the Metropolis Association and the Goethe-Institut in collaboration with the Berlinale Talents and FID Marseille and with the support of the Arab Fund for Arts and Culture (AFAC) and the Robert Bosch Stiftung, the third edition of Talents Beirut will be held between the 22nd and the 26th of September 2016, in parallel to the third edition of the German Film Week in Lebanon, organized by the Goethe-Institut. The Arab Film Festival (AFF) is now accepting submissions for its 20th annual film festival to be held in October 2016. AFF annually showcases works by independent filmmakers that provide insight into the beauty, complexity and diversity of the Arab world alongside realistic perspectives on Arab people, culture, art, history and politics. This year’s festival is particularly interested in comedies, animation, children’s films and music videos. Films must have been produced between January 1, 2014 – June 1, 2016. Exhibition formats for accepted films must be in DCP format with a frame rate of 24fps at high resolution .264 or Blu-Ray Discs. All non-English language films must have legible English language subtitles. Exceptions are made for entries with little or no dialogue. The film must not be available on the internet or have been broadcast nationally on cable or satellite television prior to the festival screening, with the exception of the music video category. Accepted films must arrive with shipping and customs duties or taxes pre-paid.